Being able to retire at 65, why would anyone in his right mind decide to open a new business? On top of that, why would he choose to enter an industry with established giants like BURR’S BERRY FARM, ROBERT’S IS HERE, and of course KNAUS BERRY FARM, all who have been providing top quality products for decades. Well, that answer lies in the work ethnic and diverse interests of Philip Marraccini as he hopes to offer the same top quality with SHORT LINES and SEVERAL NEW TWIST. Though Ornamental Tropical Fish Farming was his primary business, Phil always dabbled in other areas of interest ranging from growing fruits and vegetables to hydroponic production using established and experimental methods that he is constantly creating. As a former teacher at CHRISTOPHER COLUMBUS HIGH as well as being involved in community services with THE FAIR, DADE COUNTY FARM BUREAU, AGRI COUNCIL, UNICO and his CHURCH, Marraccini hopes to incorporate all his skills in this new adventure. With the support of his wife, PATTY and his FAMILY, the dream of entertaining, coupled with educating the general public and students about new methods of growing healthier products for consumption is becoming a reality. Of course, his hobby of writing and film production are assets in this quest. 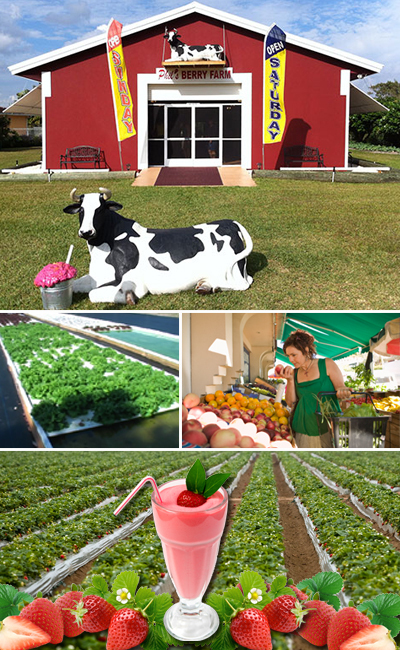 PHIL’S BERRY FARM is open 6 days a week, closed on Wednesday, so stop in for a SHAKE OR SMOOTHIE. “Let us provide YOU with QUALITY PRODUCTS and ENTERTAINMENT. SIT DOWN and ENJOY a game of checkers, chess and dominoes or just relax in our yard. Check out the “RED BARN” at PHIL’S BERRY FARM and AVOID THE LONG LINES down the road. GIVE US A TRY AND IF YOU LIKE PHIL’S BERRY FARM, tell ALL your close friends and relatives, but not everybody, BECAUSE WE DO NOT WANT LONG LINES!